It’s that time of year. Summer break is starting or has already started here in the USA. Many are sending our kids away for the first time. That’s tough! We worry, we always worry. That’s what makes us parents or even grandparents. But it is time to let them go. After all, isn’t this what we raised them for, to become more responsible, to go out on their own? Are they going to make mistakes? Of course they will! Didn’t you? I know I made tons of them, some really big ones. It took me a long time to learn from some of those mistakes, but eventually the lessons sunk in. But if you are among those whose child is going away for the first time, you’ve done what you could. The die is cast. I pray that you gave them a firm, godly foundation. There is a lesson here from the story of the Prodigal Son. There are many lessons in this parable. Usually we concentrate on the two sons. Here, let’s look at the father. When the younger son asked for his inheritance early, the father could have done many things. He could have said “No. Go if you want, but not on my nickel”. He could have said “No, you’re not going anywhere.” He could have said “OK, but I’m sending a servant with you.” He did none of these things. He gave the younger son his inheritance and sent him on his way. Did this father worry? Of course he did. For good reason? Absolutely! But this wise father realized that in the raising of his son he had done what he could do. It was time to let him go. This father had faith that he had raised his son well, taught him the foundational things he need to know. He knew that this son would have to learn the application of these things on his own and would probably stub his toes along the way. The son did exactly that. He squandered the inheritance. It was not until he was dining on the food given to pigs that he realized the wisdom of his father. Only then did he return, willing to become a servant (slave) to his father. We know how the father heart jumped for joy at seeing his son return. Certainly he was joyful at seeing that his son was alive and well, but I imagine there was more. The father knew that he had done his job, had prayed that he’d done it well. It hadn’t turned out the way that the father had planned. It seldom does with our children. But his son had, in the end, learned the lessons of his father and returned to the right path. Probably most of you with children at home have not faced this quite yet. Soon. In a selfish way, all too soon it will come. But until that day, teach your children well. Demonstrate to them the way of righteousness. Then, when the time comes, it is time to let them go. It’s what we raised them for. 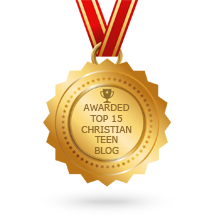 This entry was posted in CHRISTIAN FAMILY FUN AND HERITAGE, CHRISTIAN FOUNDATIONS OF BELIEF, CHRISTIAN LIFE AND THE WORD and tagged godly, graduation, parenting, prodigal son. Bookmark the permalink.